SYDNEY (AP) — Usain Bolt is quickly closing in on a professional soccer career. The Jamaican great has negotiated an “indefinite training period” with Central Coast Mariners in Australia’s A-League. The eight-time Olympic gold medalist and the 100- and 200-meter world record holder has been chasing another career ambition since quitting quit track and field. The Mariners said the agreement does not guarantee Bolt a professional contract but does give him the opportunity. “I always say that ‘Anything is possible, don’t think limits,’ and I look forward to the challenge,” said Bolt, who is set to travel to Gosford, north of Sydney, this month to join the squad for practice. The A-League season opens in October. Bolt has already tried to play with clubs in Germany and South Africa and some critics have regarded speculation of his latest attempt in Australia as a public relations stunt. 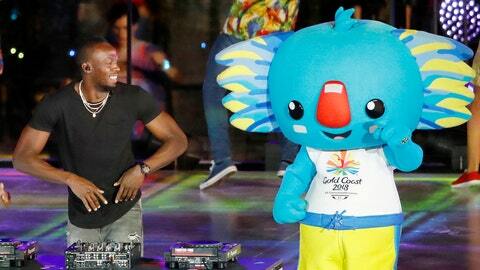 Mariners chief executive Shaun Mielekamp said he is optimistic about Bolt’s opportunity. Football Federation Australia responded last month with caution when reports emerged of Bolt’s hopes to play in the A-League.